If you've been into the real food movement for very long, you know how nutrient-dense bone broth is, and that you should be getting more into your diet. When made correctly, real organic bone broth it's chock full of minerals, which are beneficial for healthy bones, and real gelatin, which is great for our joints. 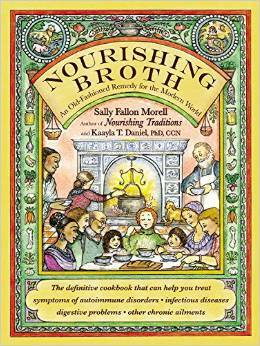 There are many reasons that Grandma always wanted you to drink up your soup broth! 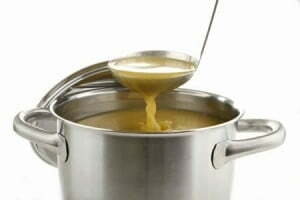 It's easy to make, here's how: Bone Broth for Rookies — How to Make Real Organic Bone Broth. But maybe you don't always have time or you won't be around for hours in order to keep it simmering as long as it needs to, to draw all the minerals out of the bones. Until now you were just stuck. But now you have another option, you can buy healthy organic bone broth online, it's shelf-stable so you can keep in on-hand 'til you need it for your favorite soup or casserole, or to drink it plain for a nourishing beverage. Every batch of our organic beef bone broth is made with bones from 100% grass-fed, pasture-grazed cattle that are antibiotic and hormone free. We also use all organic vegetables, sea salt and herbs to create the most nutritious bone broth available. 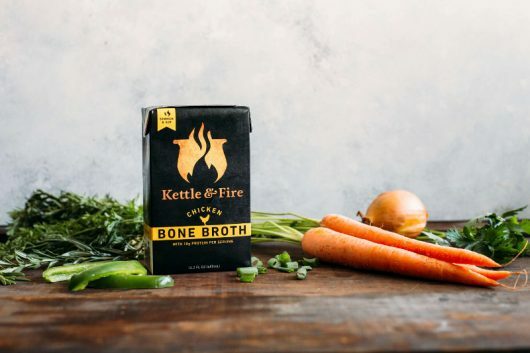 We make our broth the traditional way – slow simmered over low heat for 24+ hours – to give the bone marrow, collagen and amino acids time to soak into the broth. To top things off, our bone broth is fresh and never frozen, which means it tastes amazing. Not only is our broth incredibly good for you, it’s incredibly good. We worked with a team of classically trained chefs to make a bone broth that's both tasty and has 19 critical amino acids and nutrients. Can't get much better than that! Try drinking a daily mug of this delicious beef stock or chicken stock, instead of a morning cup of coffee, or as a soothing end to a long day! I signed up for the newsletter. Thanks for offering this give away, it would really be a help to the GAPS intro diet. Signed up! Would love to win. Thanks for the chance! Signed up for the Wise newsletter as karmakaytlyn(at)yahoo(dot)com. Fingers crossed! I like to use broth to cook my grains. shared on the Mediyak fb page! I entered and signed up. I make chicken stock (thought I can’t find chicken feet) but the one time I made beef broth, I couldn’t bring myself to drink it (the smell), so I left it in the frig thinking I’d use it in cooking. After a couple weeks, I figured I’d better toss it. Surprisingly, it didn’t look bad (I had left the fat on top of it). Even though it was weeks after making it, could I have still transferred it to containers for the freezer? Mine has been left in the frig for weeks before (not too many, but at least a couple, maybe more) when I forgot about it and it’s been just fine. Your nose knows. Thanks for the reply, Kelly. Because the broth had at least an inch of fat covering it, I figured it would probably be okay – airtight and all that you know. While I still didn’t think I’d want to drink it, my plan was to freeze it and use in cooking. Unfortunately, the fat was so hard, I couldn’t easily get through it to the broth underneath (good news is the broth was definitely gelatin), so I decided to leave it sit on the counter a little bit to soften. And I forgot about it until the next day. Any recipe, tips, or resources for adding stuff to “jazz it up”? When I make chicken broth, I use onion, carrot, celery, 2-3 bay leaves, and 1-2 generous pinches (all the fingers of one hand) of dried rosemary. Delicious, even if it rarely gels. I don’t recall what I did in making the beef broth (except roasting the bones & meat), but I know it wasn’t as much as what I do for the chicken broth. Because beef is a stronger tasting meat, should I be using a lot more aromatics because it can “take it”? Signed up for the newsletter; I like getting foody articles in my inbox. Already subscribed to your blog and newsletters! Thanks for the giveaway… will be blogging about this giveaway within the week! I signed up for almost all of the options. Already receive the newsletter. Great giveaway! I’m a great fan of bone broth! Thanks! Great Giveaway! Did all the entries! have signed up for the WC newsletter – sounds like a great thing to win – need more broth! I already subscribe to the Wise Choice newsletter. Signed up. Not sure if I did the Rafflecopter right though. Am no longer on FB. Thank you. What a great giveaway. I had their sample box sent to my 94 year old mother for her birthday last November. She loves having the fermented veggies available in resealable packages and says the broth is excellent, great flavor!